I’m on a roll this week, y’all! Four blog posts?! I'm teaming up once again with A. Liz Adventures for Five On Friday and A Little Bit of Everything Blog for Friday Favorites. If you follow me on Instagram you probably already saw this, but I’m so honored to announce that Olivia’s nursery was picked to be featured on one of my favorite blogger’s websites – Honey We're Home – as part of her HWH Loves Bloggers series. You can find her post here. 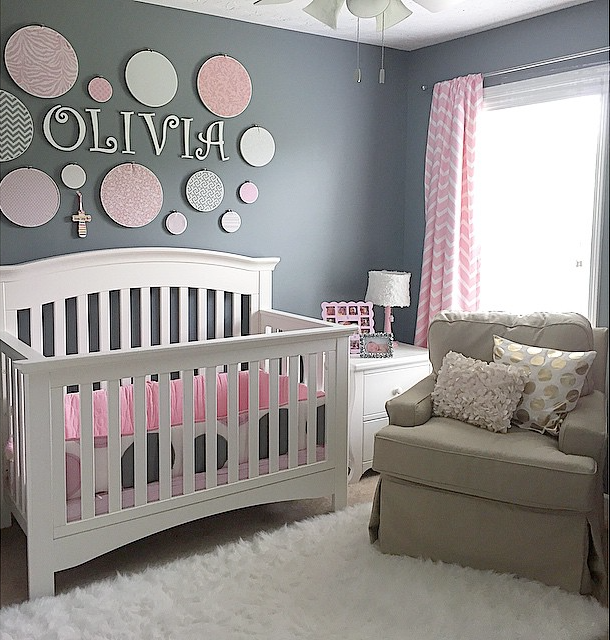 Just look at that sweet pink and grey baby nursery! Shampoo update! 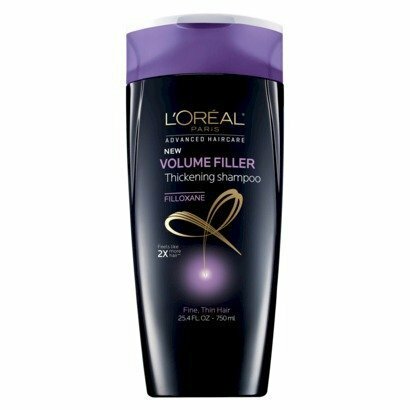 Two weeks ago in my Five On Friday post, I mentioned that I had purchased Loreal Volume Filler Thickening Shampoo because it advertises that your hair will look and feel two times thicker. I had extremely low expectations going in because my hair is the thinnest/finest ever, so I was pleasantly surprised that it does actually make my hair look and feel thicker – definitely not two times thicker, but a pretty noticeable improvement. It also makes my hair look and feel cleaner than any other shampoo I’ve used in the past… by the end of the day, my hair typically looks a little bit greasy near the roots, but that is not happening at all with this shampoo. Color me impressed! This is a keeper. Y’all. Our porch and closet additions are almost complete! Finally. This process has taken about three times longer than they initially quoted, but we are finally seeing a light at the end of the tunnel. All that’s left to be done is to install the carpet in the indoor closet, install the gutters on the porch, repair the landscaping that got trampled during the process, and have the carpets in Brian’s office cleaned. They finally removed the dumpster a few days ago, so no more tacky junk in the driveway! I bet our neighbors are throwing a block party to celebrate! Here are a few pictures of the updates. I fell in love with Prince William as soon as I saw his solemn face during his mother’s funeral when we were only fifteen years old. I eventually outgrew my crush and moved on to other heart throbs like Leonardo DiCaprio and Justin Timberlake (after he went solo, not when he had the funny hair during the NSYNC days). When William married Kate I fell in love all over again, this time with their adorable little family – their wedding, the fashion, the babies, the baby fashion. They are seriously so classy and so down-to-earth at the same time. So you can imagine my delight when I saw all of the pictures from Princess Charlotte’s christening this past weekend. That Prince George is just darling! And finally, since I can hardly publish a post without these two crazies in it, I present to you, these adorable pictures of brotherly and sisterly love. Brian snapped them at my parents’ house last Sunday, and I’m so glad he did because I missed the whole love-fest. Probably because I was off doing what I do best - running my mouth with my Momma! Look at his little hand on her leg! So sweet! I can't get enough of the royal family - the obsession is a problem haha! I love Olivia's nursery - too cute for words! Thank you! I am really glad that we decided on the pink and grey. It's such a calming space. GIRL! Our outdoor furniture is supposed to be delivered this week so I am ecstatic!!!! I can't wait to put everything together and decorate! Happy dance! And yes, that would be a great idea to get the kids to re-enact these. They are just so precious!